My cousin wanted to meet me while we were in Orlando, and he chose Crave America Restaurant. Crave was busy, and it had a nice hip crowd inside, so I was hoping for the best. Eventually, about 5 minutes after we sat, the server came over to get our drink orders. It took equally as long as them to arrive. My cousin chose the pizza, which seemed quite daring since they aren't known for their pie, but against all my warnings he chose to get one anyways. Not the smartest choice as he would soon discover. The Pizza Expert doesn't want us bashing places outright, and sometimes would prefer us to not even write an article if the pizza is awful and it could hurt their business, but I had to post this anyways. This was one of the worst pizza's I have ever tasted in my opinion. I wasn't even going to taste it, but my cousin insisted. Most of the pie was cold, like it was sitting up on a counter while they prepared the rest of the food. The peppers were ridiculously hot, like abnormally hot. My cousin had no choice but to send this terrible tasting pizza back. About 10 minutes after serving us this "pizza" the server finally came back to see how we were doing, that is when he told him the pizza tasted worse than he could have imagined. The server offered him something else, and shockingly my cousin chose another pizza, without so many toppings. I guess he is a fan for punishment. When the second pie arrived, although it tasted much better than the first, it was still sub-par, and something in my opinion I would never order again. 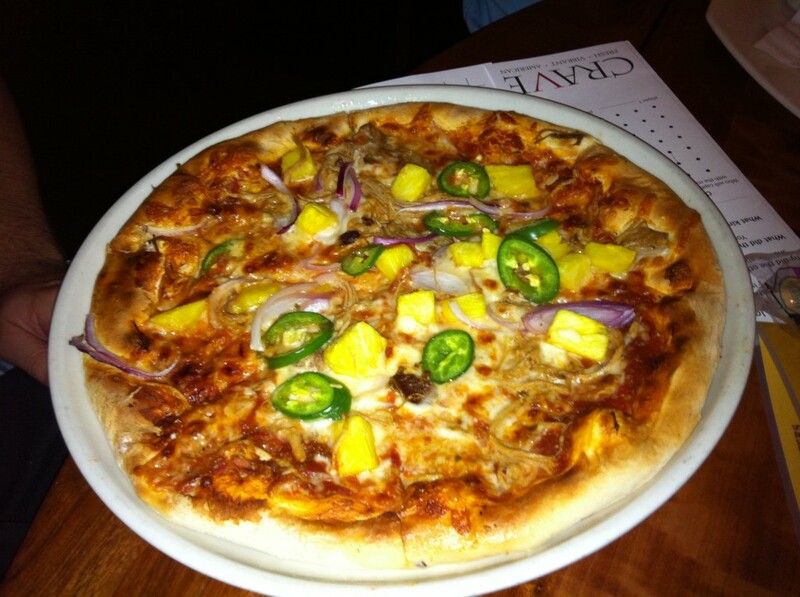 Crave, I am not sure having pizza on your menu is a smart thing. You have the potential to be a really chic cool upscale type of TGIF in Orlando, but you just cannot have everything on your item and be great at everything. That is just my opinion. If you read this, you should still check crave out for their bar and other food.